Andrei Jigalin - Best of Marin 2018 - Thank you for your vote! 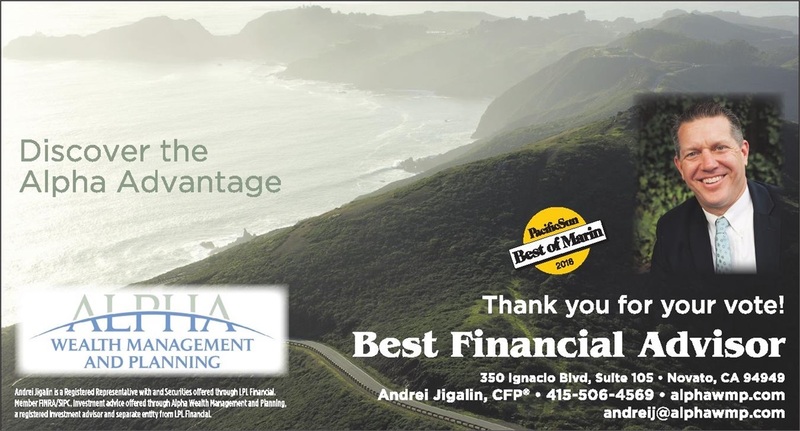 We would like to congratulate one of our own, Andrei Jigalin who was recognized by The Pacific Sun as Best of Marin in the Financial Advisor category. Andrei has been an advisor for over 20 years and we continue to appreciate his dedication and commitment to his clients. 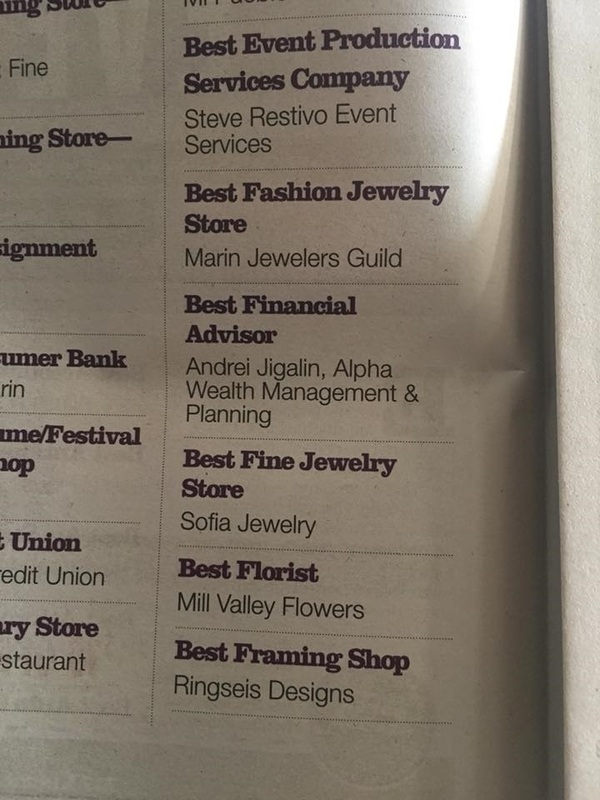 Congratulations to Andrei Jigalin and Alpha Wealth Management and Planning!!! Discover the Alpha Advantage with the Best of Marin Today!